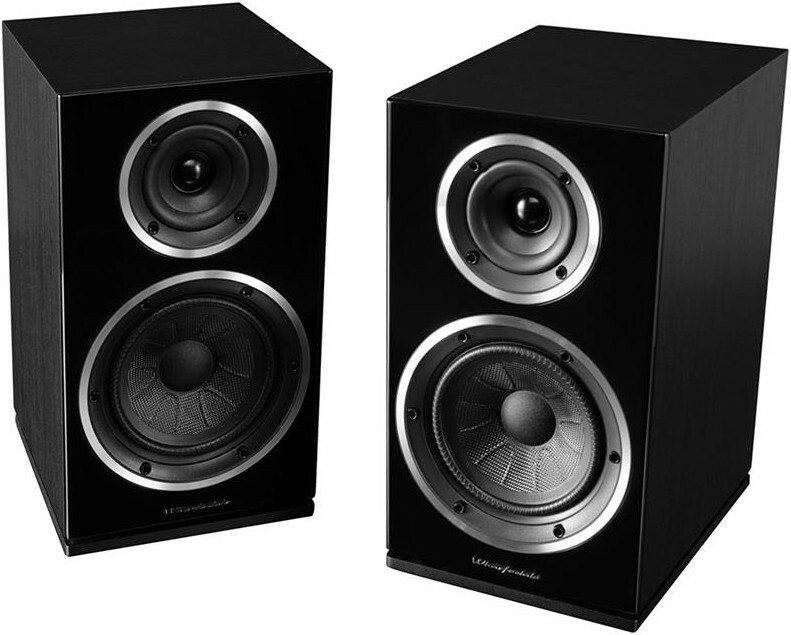 Wharfedale Diamond 225, available in this stylish black finish, follows the success of the award winning Diamond 220 but is a bigger bookshelf speaker featuring an 165mm Woven Kevlar Cone for better bass response. The Diamond 11.2 model that followed is £349 making these incredibly good value. 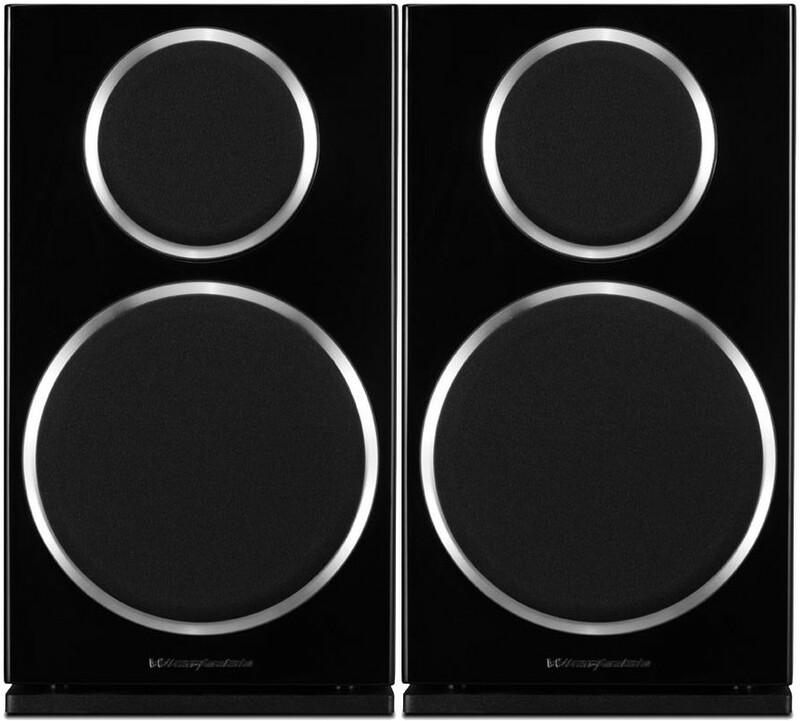 Having earnt a reputation in the Hi-Fi world over 30 years, the Wharfedale Diamond 200 series is known for its refined act and entry-level budget. This latest 2016 edition is larger and greater than ever whilst retaining its affordable price point. 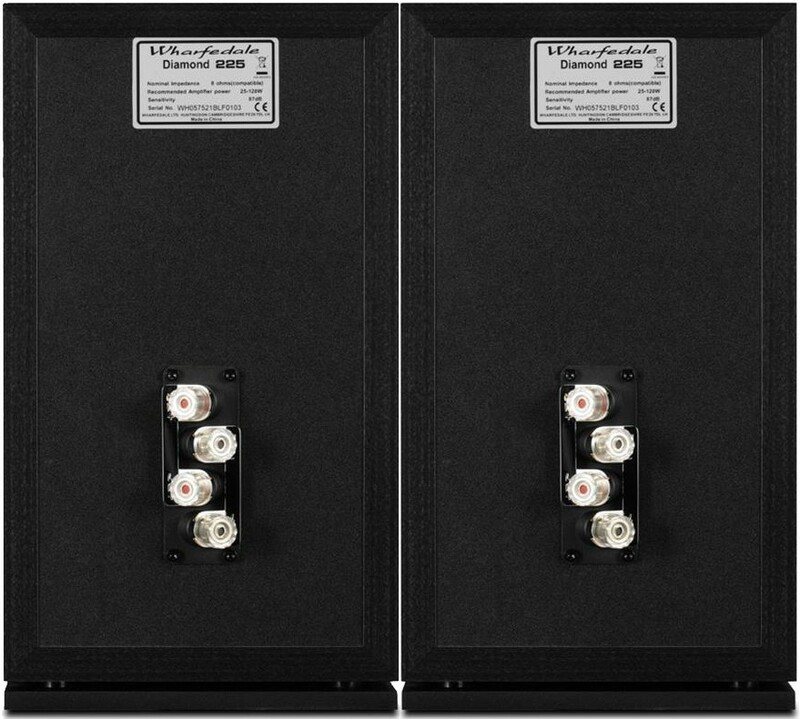 It also incorporates a 25mm Soft Dome tweeter, 25-120W recommended amplifier power and frequency response of 45Hz - 20kHz making it better for larger rooms as well as small rooms. Profiting from 220’s award-winning sound, Diamond 225's inclusion of a 165mm Kevlar Cone instead of the 130mm driver provides a hugely more powerful, exciting performance. Another new feature is the capacity for an even lower frequency. Lowered to 45Hz, 225 enables more freedom and better performance than prior models in the range. Low-frequency noise is reduced more via a 'Slot-loaded distributed Port'. For a smoother air shift, these speakers can be situated as close as 50mm away from your wall with you still enjoying the same extraordinary audio. 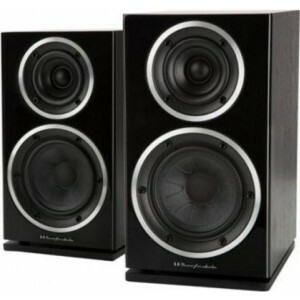 More than just an excellent extension to the Diamond range, Wharfedale 225 is more than just bass. The intuitive 25mm Soft Dome Tweeter sits in the distinctive deeply dished waveguide and gives an impressive soundstage and vocal clarity. 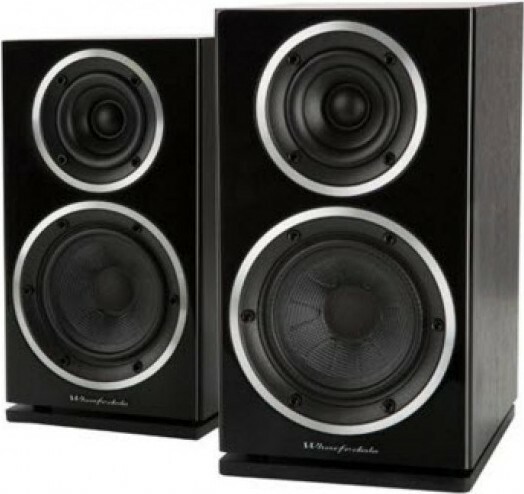 Finished elegantly, Wharfedale Diamond 225 speakers manage to improve what is already a highly regarded classic sound and offer a superb aesthetic addition to your home as well as a cost effective option to relish in high fidelity sound.